TopTwit has a snowman logo and the oauth test works. 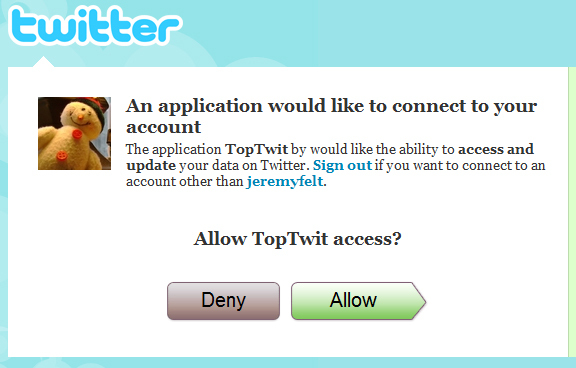 "TopTwit has a snowman logo and the oauth test works." by Jeremy Felt, unless otherwise expressly stated, is licensed under a CC BY-SA 4.0 International License.